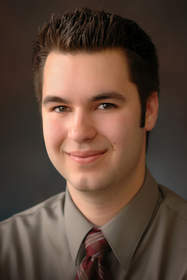 SALINAS, CA--(Marketwire - May 15, 2008) - Pacific Valley Bank (OTCBB: PVBK) announced that Ryan Olstad has joined the Hollister Branch as Assistant Customer Relations Manager. Olstad was with San Benito Bank as a new accounts specialist prior to joining Pacific Valley Bank. He is a graduate of San Benito High School and is studying Business Administration with a concentration in Finance at Gavilan College in Gilroy, CA. Pacific Valley Bank was formed in Salinas in 2004 by local community and business leaders. Most of the bank's shareholders live and work in Monterey and San Benito Counties. The bank has two branches in Salinas, and offices in King City, Hollister, and Monterey. As of March 31, 2008, Pacific Valley Bank reported assets of $174.9 million.